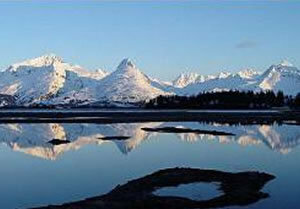 Beginning with a scenic drive from Anchorage to Seward, this 13-day tour takes you on adventures into the wilderness. Spot marine wildlife as you sail into the Kenai Fjords National Park, followed by a trip with the locals on the Alaska Marine Highway Ferries. See the “real” Alaska on a light plane to Kennicott Glacier Lodge, stay in cabins at Sheep Mountain Lodge and explore the Matanuska Glacier. Explore the Kantishna Trails or enjoy other activities such as ice trekking, glacier walks, rafting, dog mushing and flightseeing. Accommodation in clean and comfortable hotels with private facilities, meals as indicated (B=breakfast, L=lunch, D=dinner), 11 days car hire-mid size vehicle, Kenai Fjords National Park Cruise, Return light plane flights: Chitina/Kennicott, AMHS fare: Whittier/Valdez, Kantishna Wilderness Trails Tour. Five hour cruise into Kenai Fjords National Park. The park is home to orcas, humpback whales, sea otters and many species of birds. The tour also visits Holgate Glacier. Afternoon at leisure to explore Seward. 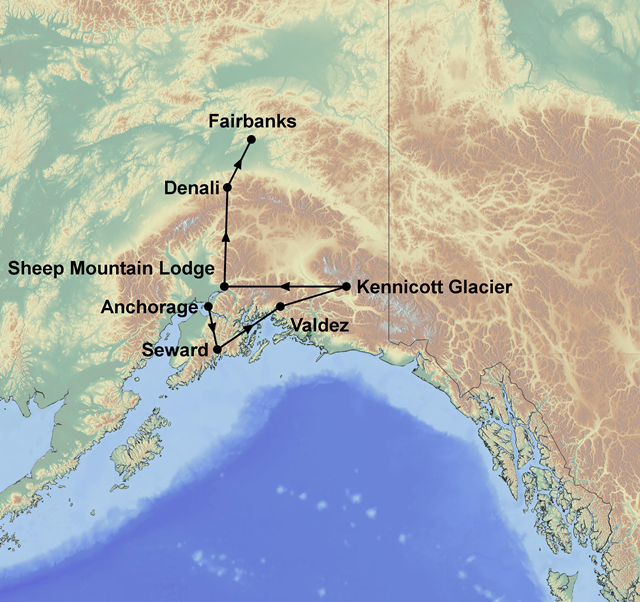 The Kennicott Glacier Lodge is a remote wilderness lodge in the heart of Wrangell St. Elias National Park. The spectacular alpine scenery is still being formed by glaciers and peaks that rise up sharper than the Himalayas. Possible activities include hikes on alpine trails, guided glacier walks and tours of the historic Kennicott Copper Mine. Day at leisure to explore the surrounding area. You may wish to hire a guide to go for an ice trek on the Matanuska Glacier. This full day trip into Denali National Park includes snacks en-route and lunch at the Kantishna Roadhouse.